Hey YA Books Central, thanks for having me on the blog. I came to novel writing by a seriously circuitous path. I’m a singer songwriter, but after my son was born I was completely happy singing to my audience of one. I pretty much stopped performing and took what turned out to be a very long break from songwriting. After a few years, the creative urge was back with a vengeance, so I tried my hand at a dozen picture books. Because you know, picture book stories are SIMPLE, like the very best songs. Since I was reading a HUNDRED picture books a day, I figured, I have this. Needless to say, I was totally wrong about the picture books, although a few good things came from my efforts. One was that I started going to SCBWI conferences, where I heard about this thing called YA. Love at first read, that’s how it was for me with YA, for a myriad of reasons. One of the biggest? Timing. Becca Fitzpatrick’s book, Finale was just coming out when I started wolfing down YA, and being a new mom is kind of...paranormal. You shapeshift from your old premom self into something greater: a Mother. The thing is you can’t possibly be that new person 100% of the time. Mothers are all seeing, all knowing, endlessly patient, compassionate, and of course, selfless. Can anyone be that GOOD all the time? This—is how fictitious villains are born. Plus, you’re thrown into a million new situations—with other moms. It’s like high school all over again. Alpha moms. Granola moms. Barbie moms. Where do you fit? Where do you want to fit? When a friend suggested I try NaNoWriMo, I attempted writing a YA of my own. A LANDSLIDE of words poured out on the page—way too many words to go back to writing only songs. So I wrote a couple novels. But. The songs showed up anyway. All my main characters are musicians. Or monsters. I love songs and composed music. First few drafts? I listen to music while I write. Then, I take those songs and pieces—which are almost always new, or new to me, because songs I already know can carry lots of baggage in their little song hands—and I create a playlist. I put this playlist on whenever I work on the book. The music brings me straight into the moment, straight into the scene. From there, the writing flows, often to the rhythm of whatever’s playing. Mood. Sometimes dialogue. Pace. Emotion. It all comes from the music. Once though, I added a song that I already knew to a playlist. I added Chris Whitley’s Hotel Vast Horizon to the playlist I was compiling for Before Goodbye. The song spread throughout the story like the most beautiful vine, its curling tendrils of yearning and tender shoots of truth growing into what is probably the most important theme of the novel: There is a space within us, and between us, an ever­expanding space that’s all around us, that, even while housing us, houses something greater than us. And in this place—which sometimes takes the form of music—even in the very worst times, we can find hope. Want to listen to the music that inspired Before Goodbye? Click HERE to get to the Spotify playlist! Continue reading for a sneak peek of Before Goodbye! Toe taps and tongue clicks. I watch, transfixed, as classical guitarist Gabriel Tomas Garcia has Cal play the same twelve measures again, and again. Each time, the music is the same. Each time, it is different. Over and over the master teacher articulates the running sixteenth notes, their incessant motion broken only by the occasional eighth note, until finally, at the end of the section, Cal hits the final note, a whole note with a fermata hovering above it like a watchful eye. The fermata tells the player to hold the note beyond its standard value, relying on his discretion as to duration. In other words, you hold the note as long as you want. This is a surprisingly subjective idea for composed music. Cal holds the note— and the rest of us hold, too, the dozen or so students who sit on the folding chairs that ring the classroom, all willing victims to the music’s power. We hold our bodies still, and we each hold our breath, as if the music has encircled our very throats like an impossibly beautiful noose. The main theme of a Bach fugue—that’s what Cal’s working so hard on. The subject. The seed. Garcia is attempting to show Cal that if he doesn’t catch this germ, doesn’t suffer the sickness—as well as find the cure—he will fail in his musical endeavor. So says the master in so many words. Only in this case, so many words means no words at all. ting on the unclaimed twin bed across from his. It’s the second day of the Manhattan School of Music’s Summer Guitar Intensive and Cal’s assigned roommate hasn’t shown up yet. Cal’s guess is car trouble, my money’s on stage fright. Programs like this, although they’re open to high school students like us, like Cal’s no-show roommate, are geared toward professional players. They’re basically pressure cookers. I punch Cal in the arm. I can do this because he’s one of my best friends. I can also ignore his response to the blow, his mock indignation—which I do, and continue. This whole time Cal’s arms have been wrapped around his guitar, and now he plunges into the piece he’s played so many times today, drops into the racing waves of sixteenth notes like he’s an Olympic swimmer, and maybe his attention’s been on the water all along..."
Sounds great, right?! 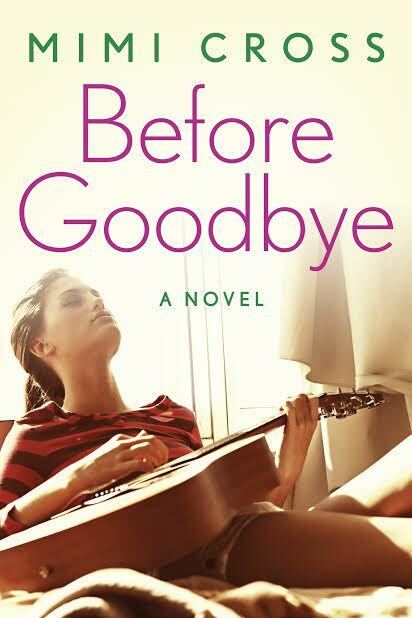 Keep reading for a chance to win a copy of Before Goodbye. About: Music means more than anything to high school student Cate Reese; it’s also what unites her with Cal Woods. Devoted classical guitar players, Cate and Cal are childhood friends newly smitten by love—until a devastating car accident rips Cal out of Cate’s life forever. Blaming herself for the horrific tragedy and struggling to surface from her despair, Cate spirals downhill in a desperate attempt to ease her pain. Two winners will receive a copy of Before Goodbye, US only. Mimi Cross was born in Toronto, Canada. 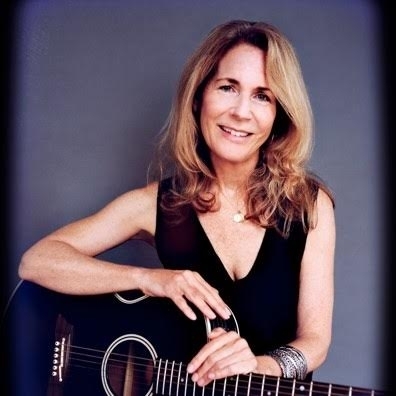 She received a master's degree from New York University and a bachelor's degre in music from Ithaca College. She has been a performer, a music educator, and a yoga instructor. During the course of her musical career, she's shared the bill with artists such as Bruce Springsteen, Jon Bon Jovi, and Sting. She resides in New Jersey. Author Guest Post with Virginia Macgregor, Plus Giveaway! Spotlight on Ever the Brave by Erin Summerill, Plus 5 Songs From Book Playlist, & Giveaway! YABC Scavenger Hunt: The Traitor Prince (CJ Redwine), Plus Playlist & Extra Giveaway! For some sweet gift card giveaways, check out https://muxme.com.